This Applet visualizes the behaviour of a free wave packet changing with time. The wave number can be set by the user. In contrast to the "classical" model, a quantum mechanical particle can "dissolve" with time. However, for macroscopic items, this takes very long time. One may observe solutions of the time-depended Schrödinger-equation of a particle in a potential well. Through superimposing the first 10 eigen-functions, one can observe dynamics of the quantum particle. Many properties of this system can be calculated analytically (see exercise 8 in "Theoretische Physik II SS08") and it can be regarded as a simplified quantum-dot system. This Java applet displays the behaviour of a two-level quantum system stimulated by different types of impulses. It describes the transition of an electron through the excitation pulse. The laser is a realisation of that system. An extension of the two-level quantum system: damped Rabi oscillations. In contrast to the basic version, this applet allows to observe effects which occur e.g. in semiconducters with indirect transitions. The Schrödinger equation defines the shape and distribution of the electron orbits. 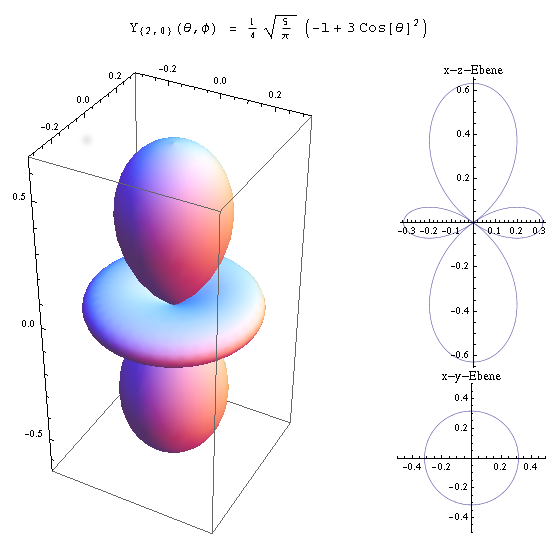 This Java WebStart application lets the user change the first three quantum numbers and provides a three-dimensional view of the orbits, which can be scaled and rotated. 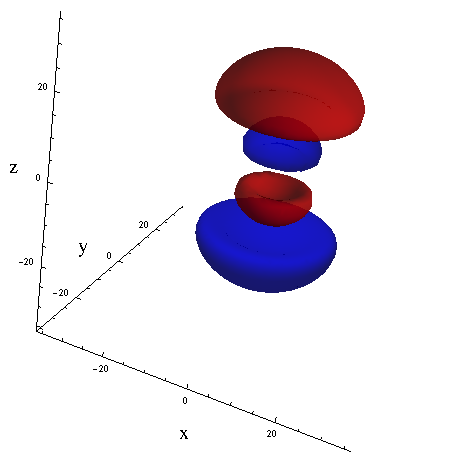 This Java application visualizes the harmonic spherical functions in 3D and 2D slices. The spherical harmonic functions play an essential role in describing the angular momentum in quantum mechanics. Furthermore, they describe the angular dependence of hydrogen atom orbits. Vary the height of a potential well or barrier and observe the scattering of a traversing Schrödinger wave. In contrast to the applet seen above, a finite height of the well is being used.